Have you ever wondered how a true forensic lab runs? If you are in the Houston area, we would like to invite you to visit us at our Open House on June 16, 2011. See more information at the link below. Our state of the art laboratory was designed by President Loretta Anderson and RGR Partnership, LTD and constructed by Tribble and Associates Contractors. The new lab space has over 3100 square feet with the option to utilize an additional 5000 square feet of off-site storage as needed. The lab was designed with optimal work flow, employee convenience and with environmental sensitivity in mind. There are separate departments for accessioning, specimen preparation, screening, EIA, ELISA, Heavy Metals ICP-MS, GC/MC, LC/MS, extraction hoods and analyzing (test data). In addition, there is a dedicated department for Certifying Scientist for reporting results. Will the Oil Spill Effect You? By now just about everyone has heard about the Oil Spill in the Gulf of Mexico. We are now into the second month of oil spilling into the waters. How will this effect you? If you are not an off-shore worker you may be thinking “probably not much”. You may be wrong. Because this particular spill is actually located nearly a mile below the surface of the water, it’s toxicity effects the entire ecosystem of the Gulf of Mexico. There is plentiful life in the deep sea that’s in danger: fish, deep-sea corals, gelatinous zooplankton like jellyfish, and benthic-dwelling sharks, not to mention the diverse communites of shrimp, crabs, worms, and other critters that live there. “It’s like a lush jungle down there,” Joye says. (Dr. Samantha (Mandy) B. Joye, Department of Marine Sciences, University of Georgia) Even if oil exposure doesn’t kill these organisms, it could have chronic, long-term effects, like impaired growth or reproduction. Over time, any impact on the deep-sea communities is likely to have more broad effects, since the whole ocean is connected by various biological processes. “All the different zones of life are interactive in one way or another,” says Lisa Levin, a marine ecologist at the Scripps Institution of Oceanography. What this means is that in the short term, workers and residents close to the spill will be exposed to vapors produced, or released by the oil and associated gases. In the long term, workers, residents and those who eat food from the Gulf of Mexico could be exposed to a food supply contaminated by oil by-products such as arsenic, lead, mercury, zinc, chromium-6 and other toxic elements. Will this be enough to actually harm a person? At this point no one really knows – it is too soon to tell. A viewpoint from a leading company that includes hexavalent chromium testing as part of its company’s safety program. From the moment in 2006 that the Department of Labor/OSHA issued a final standard addressing occupational exposure to hexavalent chromium, our company realized that we must take prompt action because our employees work around chromium dust caused by welding, grinding and gouging on stainless steel and other alloy metals. The standard revealed the facts that our welders and others in the welding area could be exposed to the hazards of chromium from the metallurgy. In addition to use of engineering controls, workplace controls, PPE, and respirator selection and use, the company safety specialists knew that education would be the key to control and elimination of hazards that could expose employees. By 2007, AltairStrickland had developed and implemented the hexavalent chromium policy, employee training, field action plan and employee medical evaluations. Without them all, the program would not have been as successful. Because the company is proactive, hundreds of employees have remained risk-free from the hazards of chromium dust. Environmental and laboratory specialists from ExperTox were instrumental in aiding our company in developing the program and prior to the OSHA effective date, assisted AltairStrickland in field testing of welding setups. The creation of dispersion studies on an actual jobsite helped the company know how to plan for future welding both in confined spaces and in outside fabrication areas. The studies conducted early-on are still helping the company today. Thanks to ExperTox, AltairStrickland’s safety for alloy and hexavalent chromium welding is assured. One Source…Numerous Options…Differences That Matter! 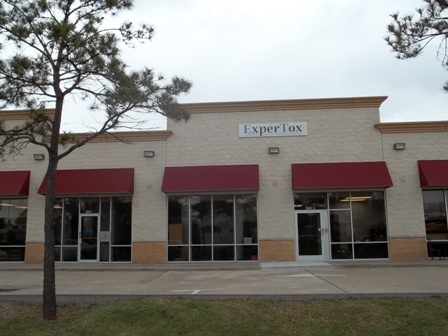 ExperTox® is a recognized forensic toxicology laboratory, combining advanced technology and science with a human heart. We use our scientific expertise to provide our customers answers to their substance abuse, use and exposure questions. We focus our personal character on supporting, caring for and understanding what our clients are going through as they contemplate and proceed through the testing process. Bath Salts? It’s really a drug and it’s legal!